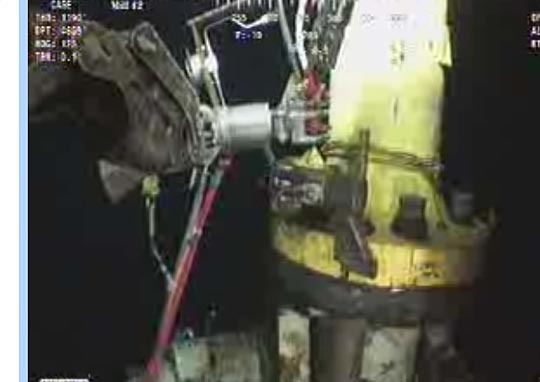 At about 1 pm (Eastern) I checked on the feeds, and it appears, using the camera on the BOA ROV 1, that the transition spool has been lowered into place (the old riser was removed at about 3 am this morning) and is now ready to be inserted into the top of the riser. Flange removed from the well, and the surface awaits the transition spool. I will update as I notice other things of interest - though will be out some of this afternoon. UPDATE 1. Apparently there was some soccer game or something on this afternoon, so I became a bit distracted, and was not watching when the transition spool was seated, some time around 3 pm. Since then they have been tightening the bolts. 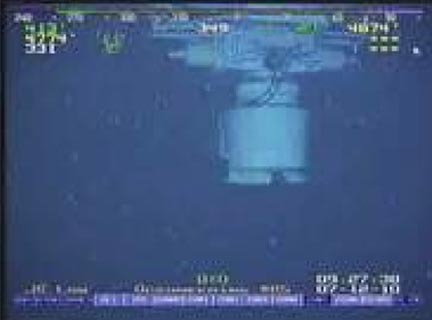 The next step will be to set the Lower stack on top of the spool, and then lock it in place. UPDATE 2. 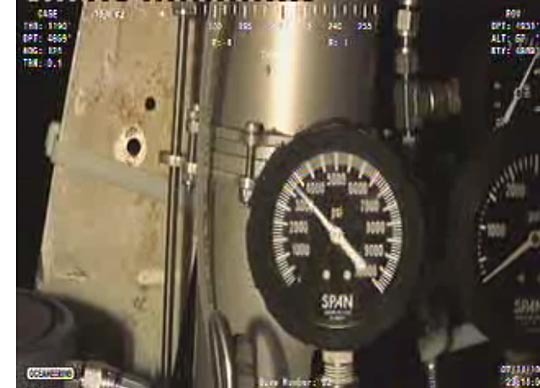 The Ocean Intervention ROV 1 keeps looking at a pressure gage as it manipulates around the transition spool. I suspect that this is the pressure in the hydraulics when they do the final tightening of the bolts on the transition spool, to ensure that they are adequately all tightened, since, after looking at the gage, it went over and moved the torque wrench to another bolt. Torque wrench being moved around the bolts holding the transition spool in place on the BOP. Obviously assembling the rig is taking a bit longer than I thought, though I think I may have seen the Lower capping stack somewhere around in an earlier shot. 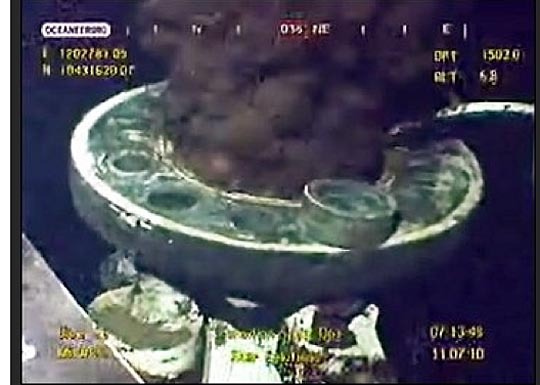 Looking at the various camera shots on Monday morning, there are a lot of pictures of gages around the kill line that would be feeding oil down the new line from the BOP. Given that they are all still reading zero, it suggests that there is a little problem. 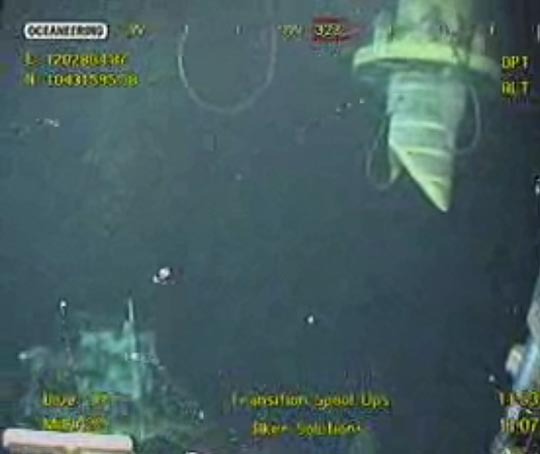 Also the word is apparently out that the capping stack is on its way down to the site. Ane here it is, being monitored by the Inspiration ROV, which you see through the the Akamai video set .